Palmyra struggled to hold on to the ball in wet conditions during its round six loss to Nedlands. BATTLING both injuries and wet and windy conditions, Palmyra fell to Nedlands 32-14 to register its second straight Premier Grade loss at The Foreshore on Saturday. Top-of-the-table Nedlands was too big an ask for a Pally side that came into the game depleted and then lost scrumhalf Kieran Duffin and full-back Mani Eden to injuries in the first half. Played at times in heavy rain, the match was decided in the forwards where both bruising ball-runner Levi Auvae and Future Force prop Mees Erasmus shone. Unfortunately for the visitors, they could not match the intensity of Nedlands for a full 80 minutes. Poor ball-handling also played a part, with two of the hosts’ tries the result of intercepts. Palmyra’s tries were scored by Liam Marama and Troy Mete, with Jared Trevathan slotting both conversions. The result leaves Palmyra clinging to fourth on the ladder ahead of its clash with sixth-placed Associates this weekend. Earlier, Palmyra reserves overcame an extended injury stoppage in the first half to run out 10-0 winners and remain undefeated. 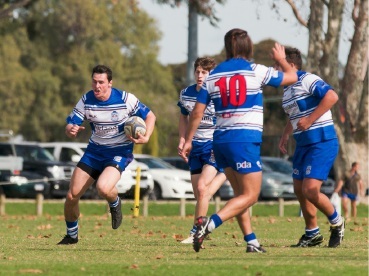 The Colts also continued their top-of-the-table form to easily dispatch Nedlands 53-8. The Palmyra women won a one-sided affair against Swan Suburbs 82-5.